Cardi B has always been the master to break the chains and live vicariously through her pop music albums. Recently over the weeks, the American singer has wrapped the media attention around her fingers, as she gives her antics a new definition. 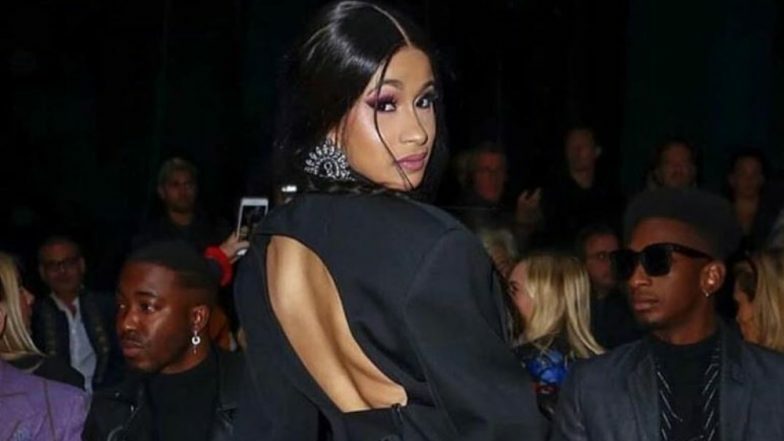 Cardi B, in her latest music video, stripped out her bottoms to let her privates breath, but soon after, was harshly slammed by the netizens for a ‘disgusting clip’ caressing herself. Well, after all, Cardi B is raising the standards of her own bold form. Cardi B Back on Instagram, Announces New Single with THIS Grammy Award Winning Artist. The singer-rapper’s latest video, "Please Me", has raised brows with lyrics as explicit as the title suggests. The 26-year-old rockstar has teamed up with Bruno Mars for this venture. Within no time, the video attracted over 13 million views for her sizzling and bold performance. However, the video did not sit well with Cardi’s fans. As some of them mentioned it to be highly inappropriate, others named it plain vulgarity. Lady Gaga Stands Up For Cardi B As Some Suggest The Rapper Didn't Deserve Her Grammy Win! One of her followers wrote: "Grow up Cardi! You are a mother and certainly not a role model", while another complained: "Cardi I love you girl but there's a huge difference between a big personality and just plain vulgarity." One user quipped: "Who came here just to read the controversies?"